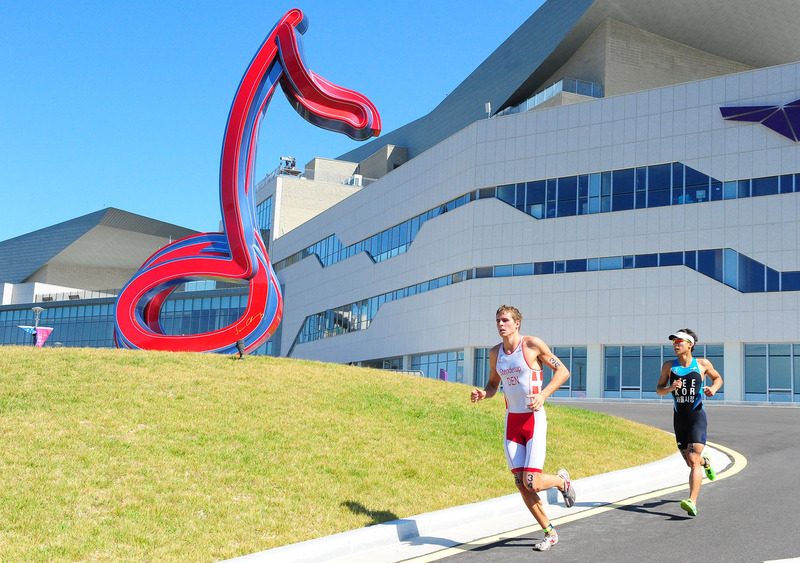 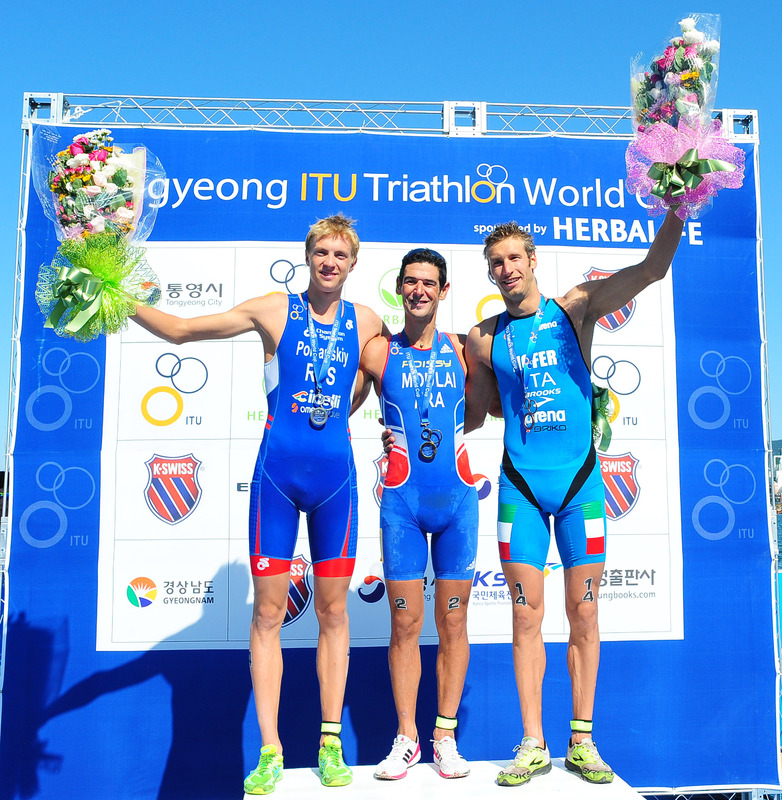 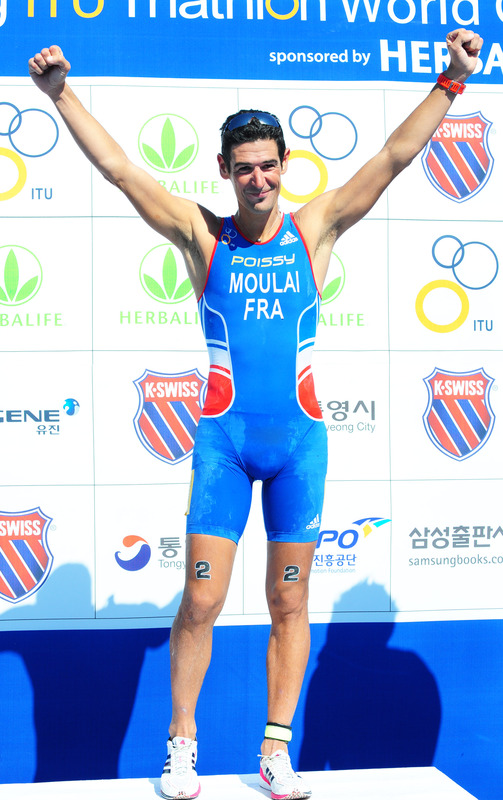 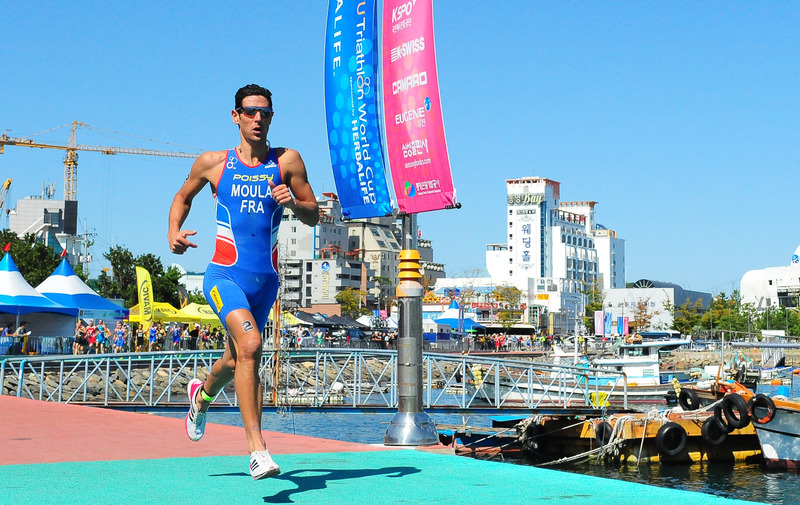 France’s Tony Moulai finished his ITU career in the most perfect way, pulling out a consummate performance to win his first ITU World Cup title in Tongyeong on Saturday. 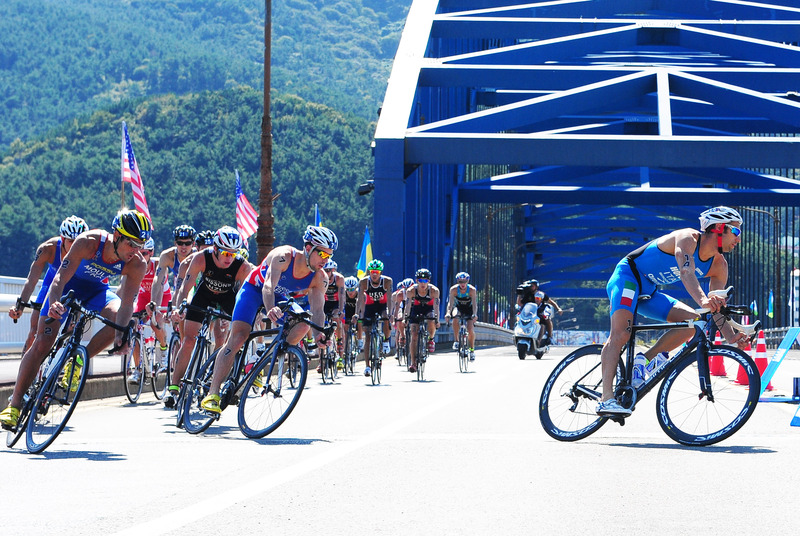 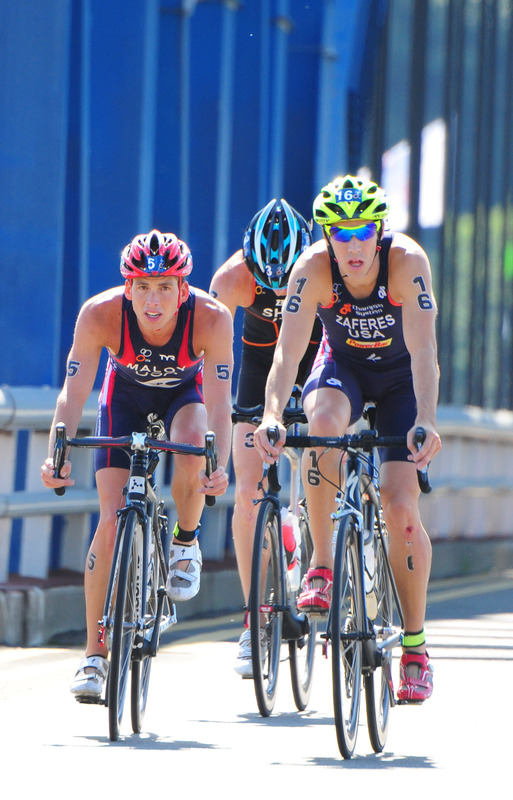 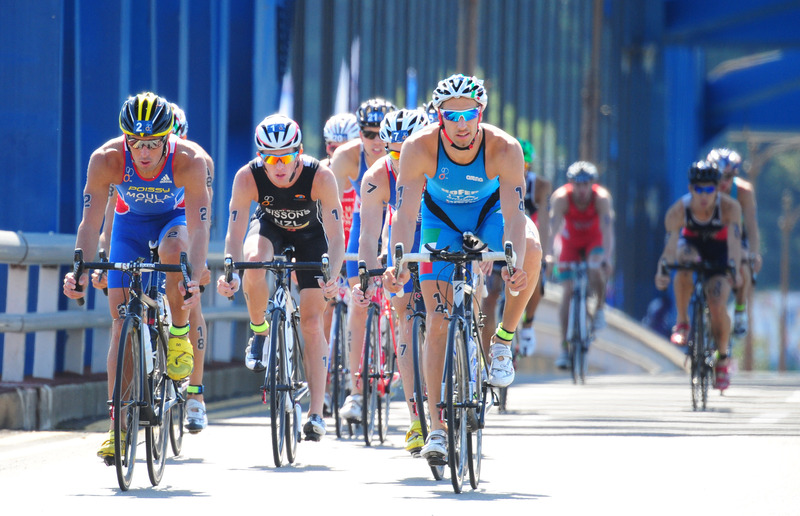 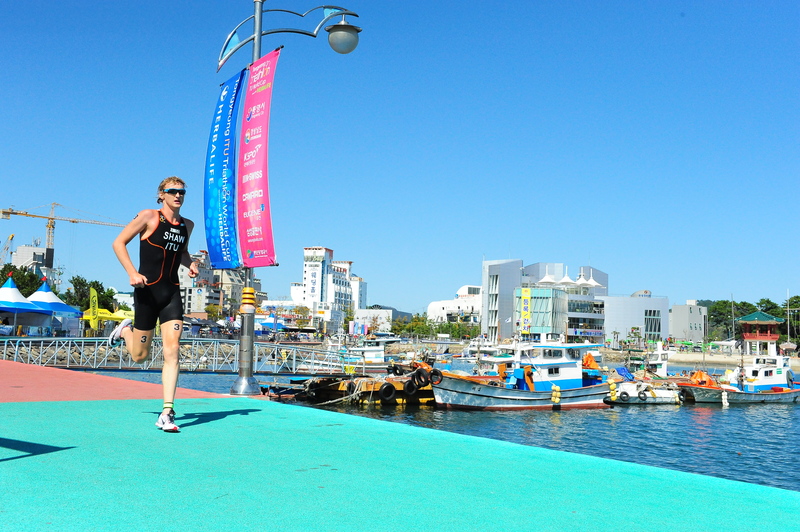 Moulai had to come from behind in South Korea, after a breakaway of Tommy Zaferes and Benjamin Shaw stuck and took a 45 second lead from T2. 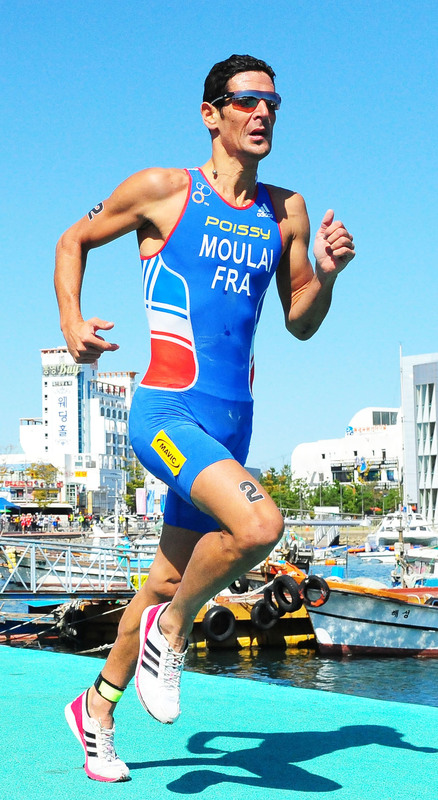 However it didn’t take long for a chase group that was led by Moulai to catch up and from early on there the Frenchman flew. 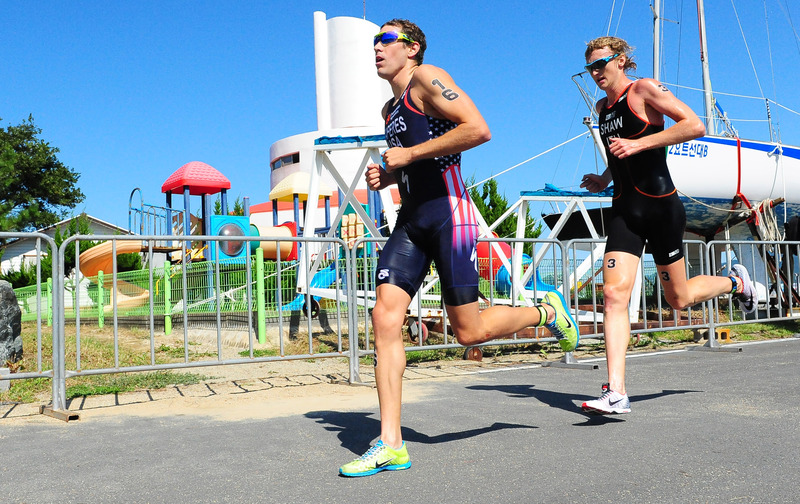 His plan to go out hard at the start of the run meant he was well in front at the halfway, but it did seem his fairytale finish might not happen as the chasers closed. 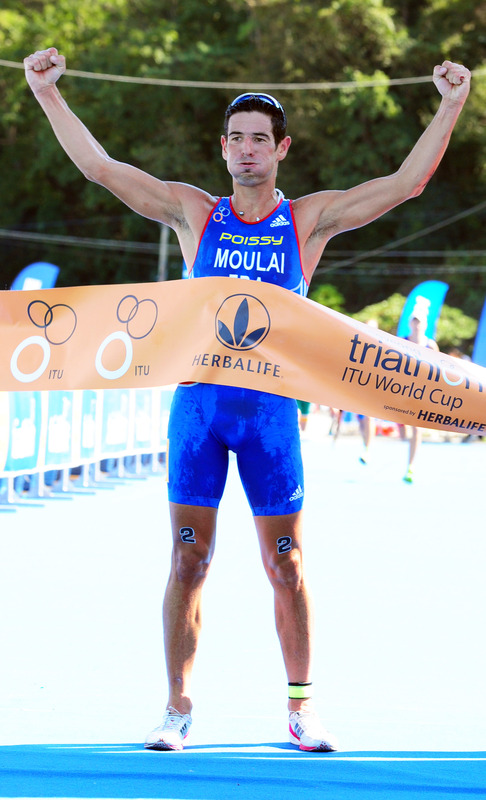 However Moulai’s plan played to perfection as the gap was enough to hold off Russia’s Igor Polyanskiy by eight seconds, in a time of 1 hour 51 minutes and 23 seconds. 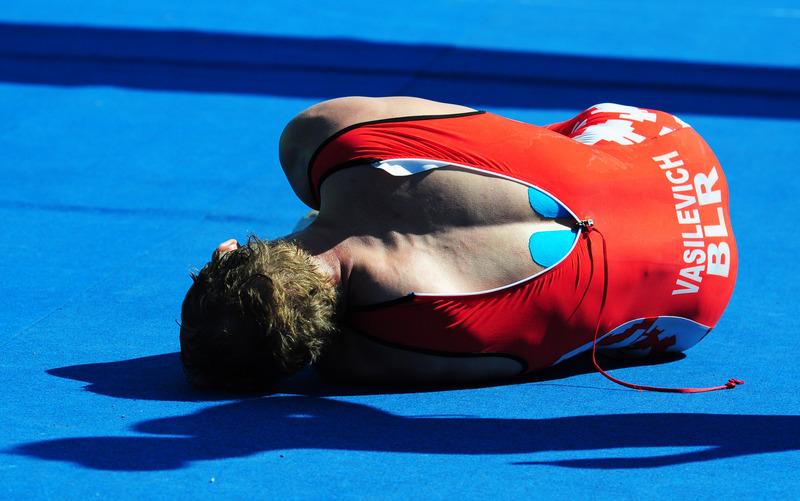 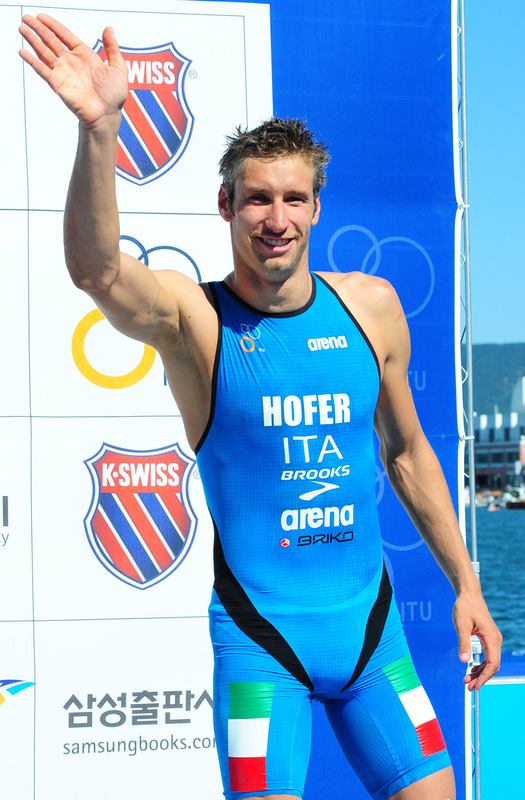 He revealed afterwards it was particularly sweet as it was his last international race. 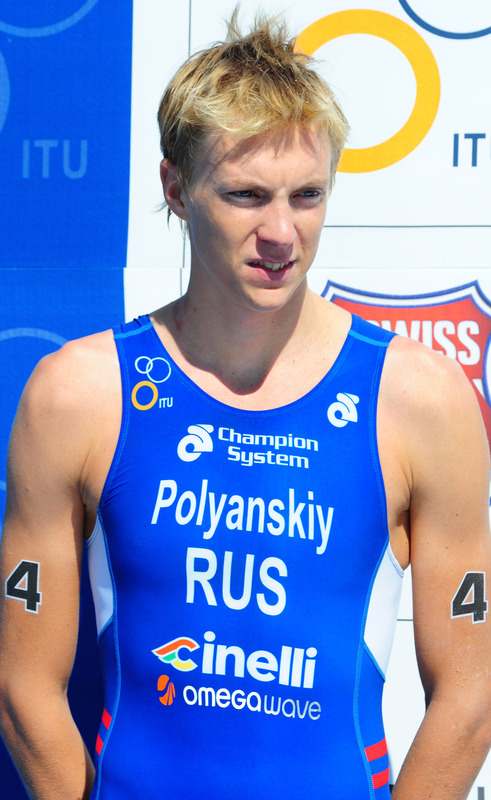 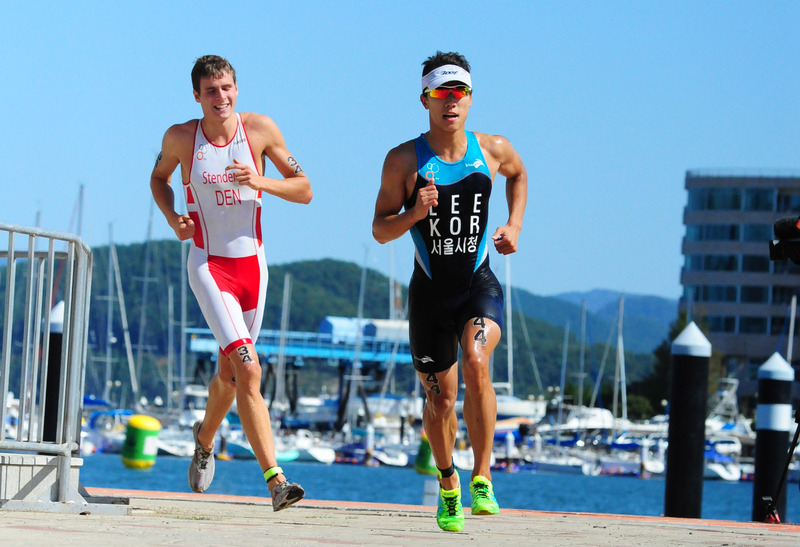 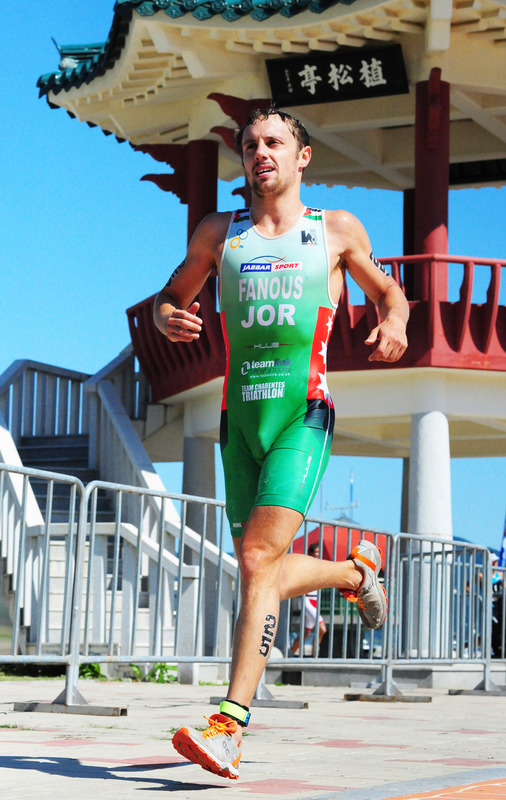 It was Polyanskiy’s second consecutive year on the Tongyeong podium, although he had to fight for it even harder this year in a four-way sprint for two podium places in the finishing chute. 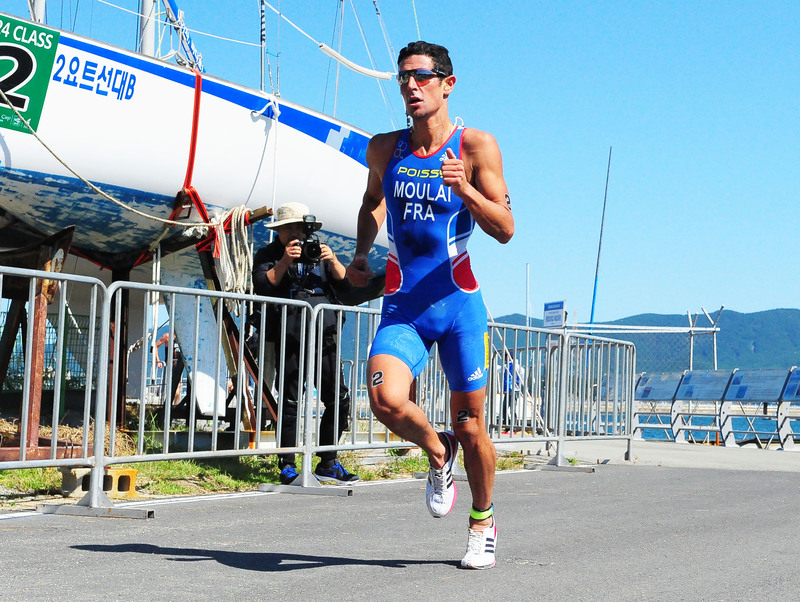 “It’s my last race in this season and I’m very happy. 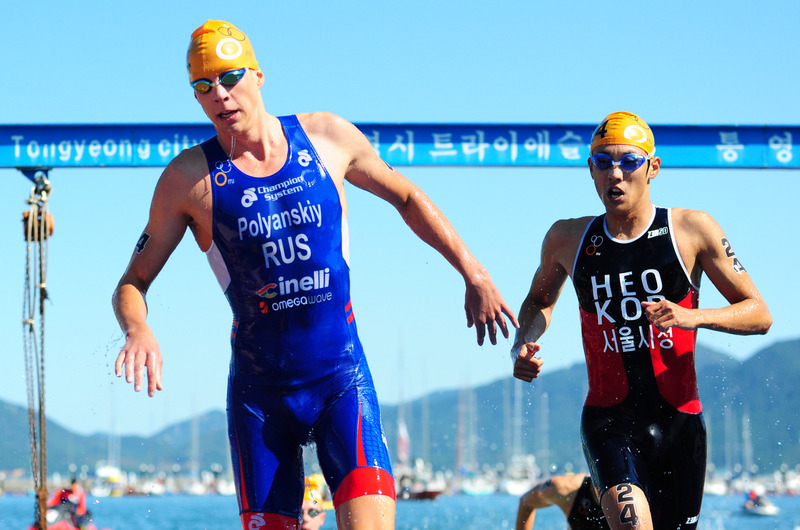 Tongyeong is very happy for me, last year I was third and this year second, it’s the best results of my career for me,” Polyanskiy said. 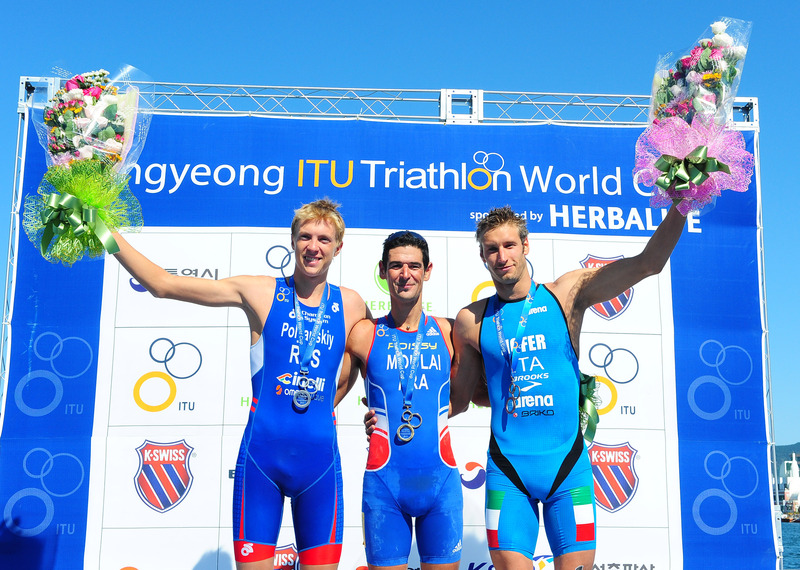 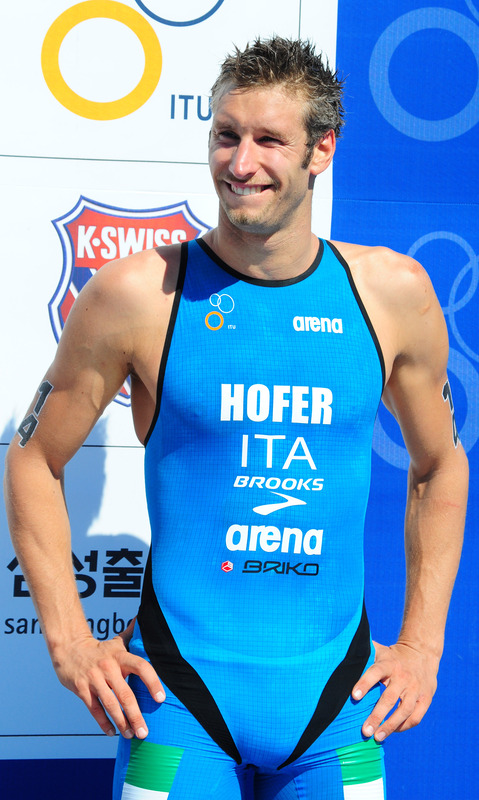 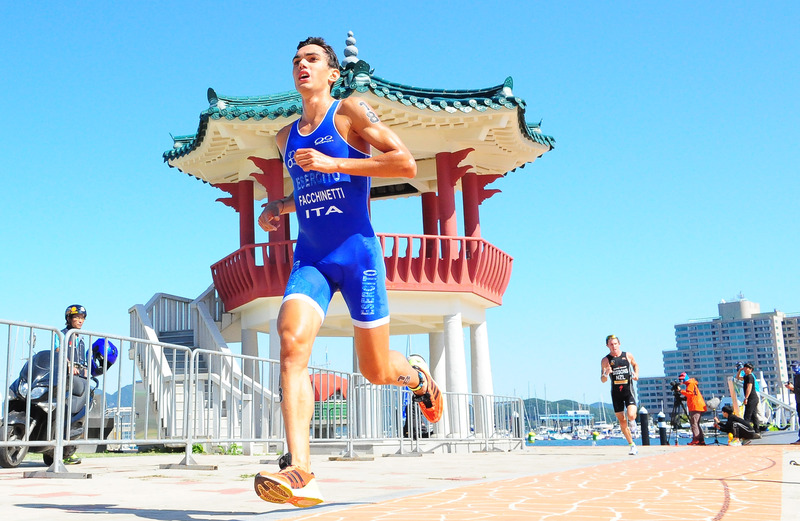 Italy’s Daniel Hofer claimed his first ITU World Cup podium with bronze, and said he knew he had the sprint to get to the podium in the busy finish chute. 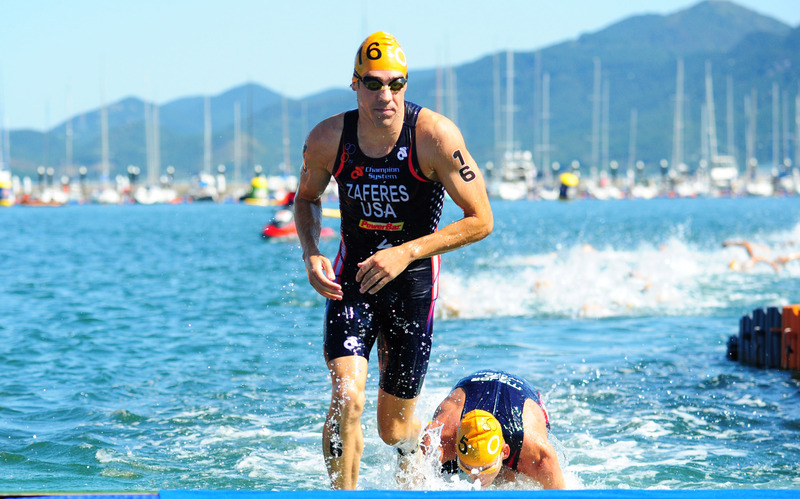 Early on in the race, Zaferes, Shaw and Joe Maloy set a cracking pace in the swim to leave the water 30 seconds ahead of the rest of the field. 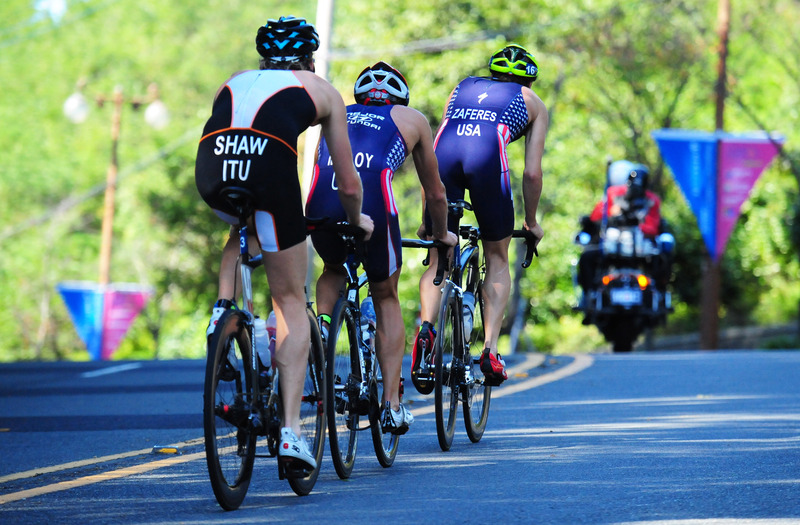 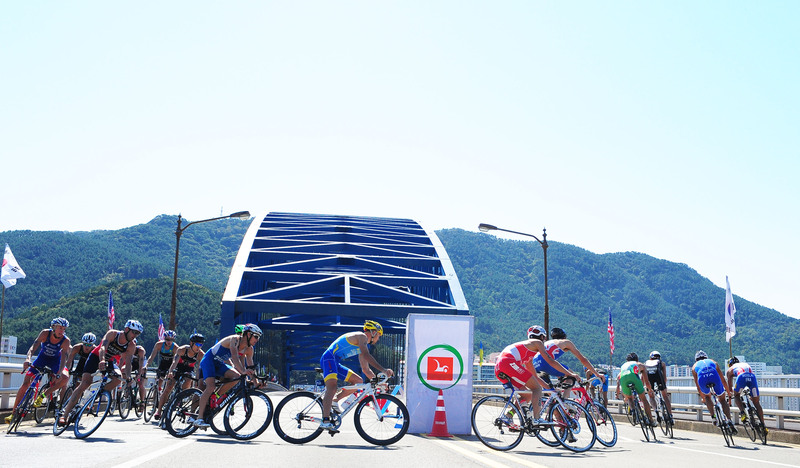 They quickly tried to turn that into an advantage on the bike and while Maloy dropped, the pair of Zaferes and Shaw managed to make it stick until the end of the five-lap 40km bike. 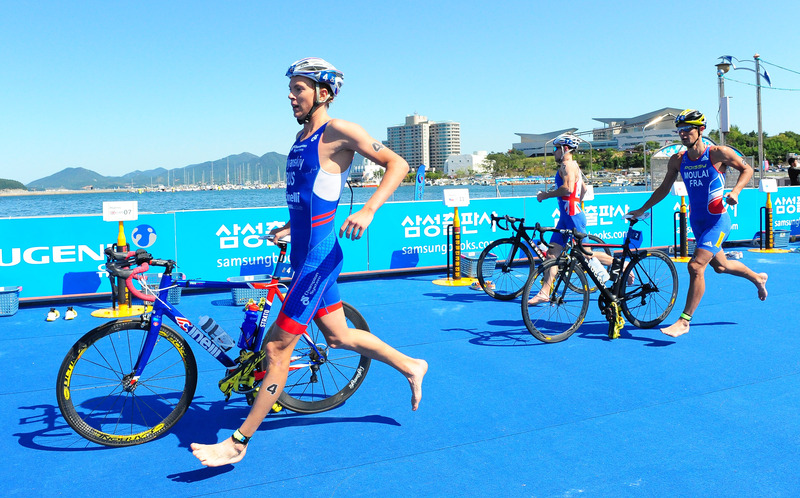 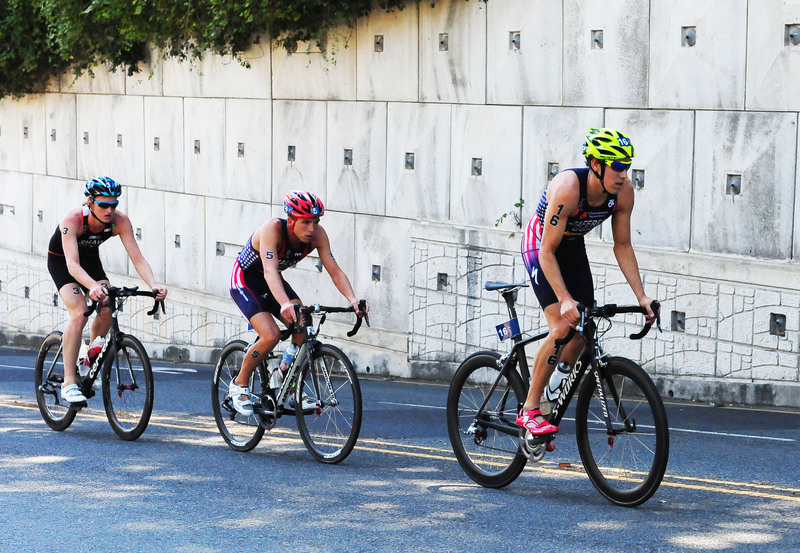 But the effort they put into the bike showed on the run, as Moulai set a cracking pace leaving T2. 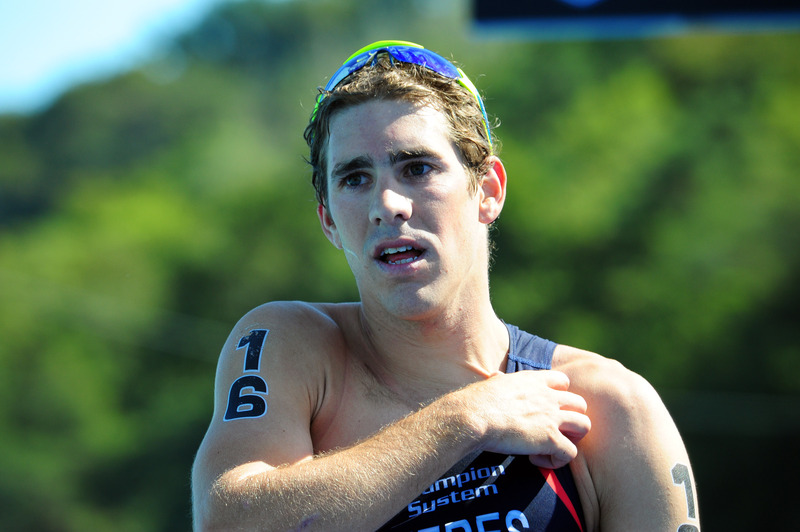 He said afterwards his super sprint three laps were all part of his tactical masterplan. 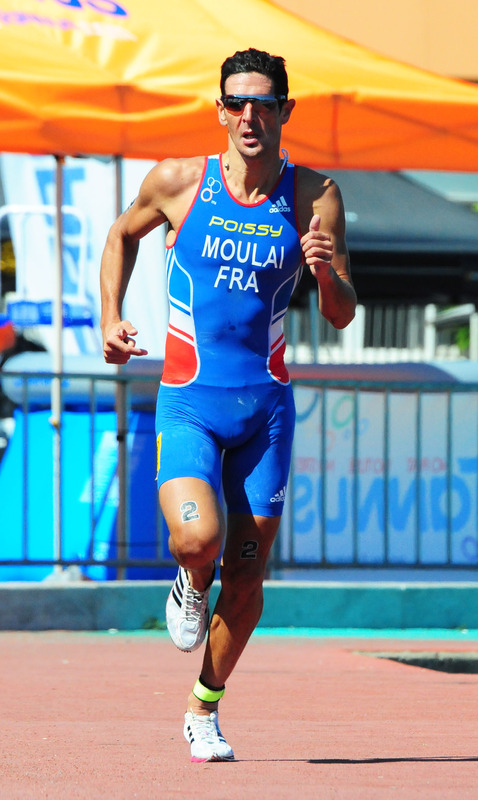 Behind Moulai the final podium places weren’t decided until the final 200m with four athletes still in contention. 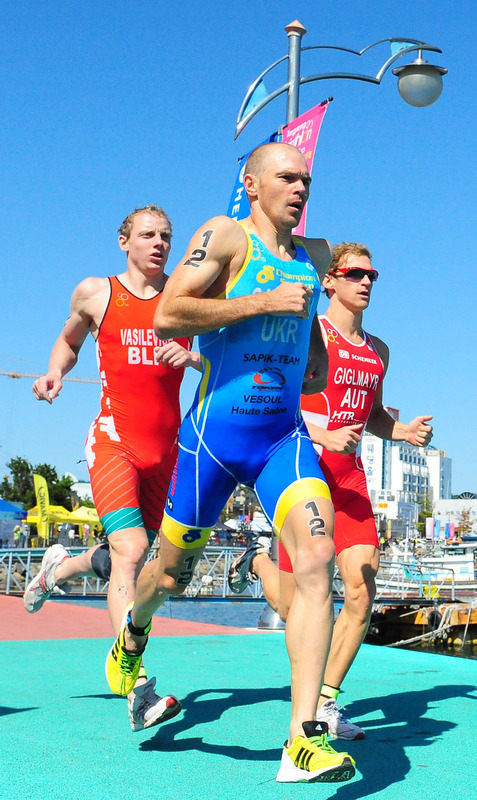 While Polyanskiy and Hofer’s kicks were enough to medal on the day, Australia’s Jesse Featonby and Maloy both recorded career best World Cup finishes in fourth and fifth respectively. 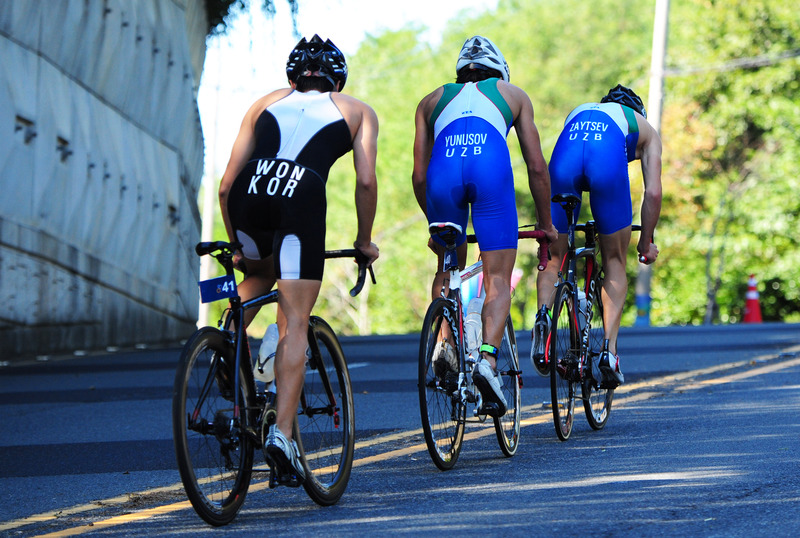 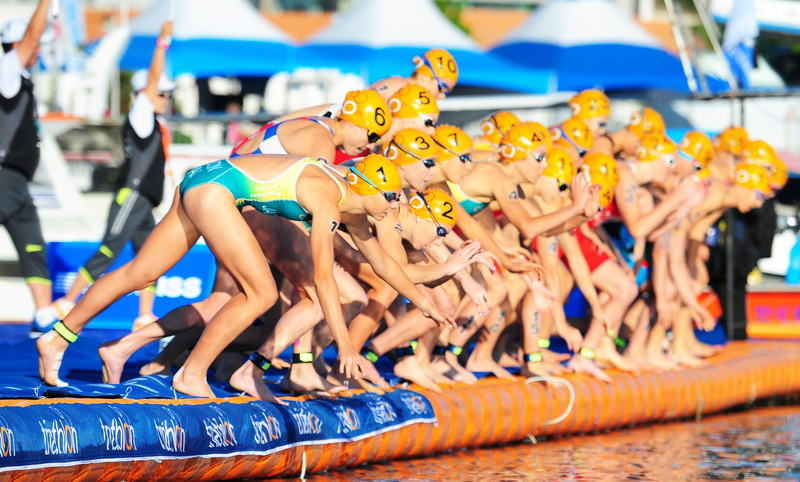 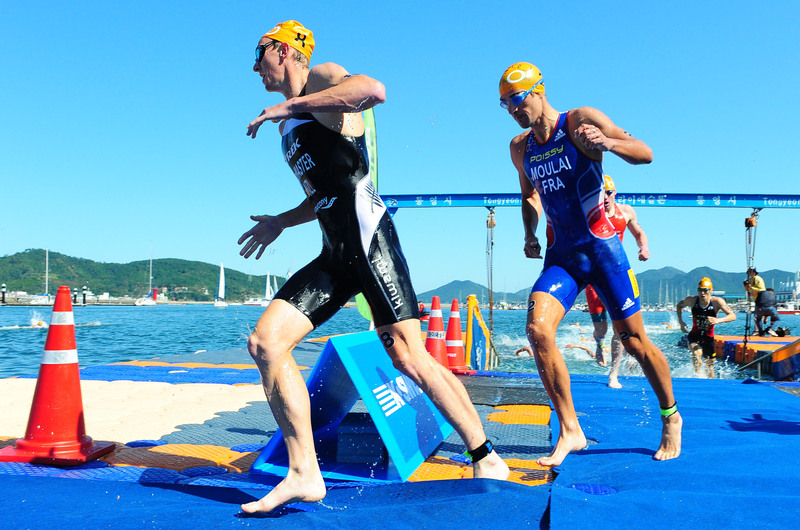 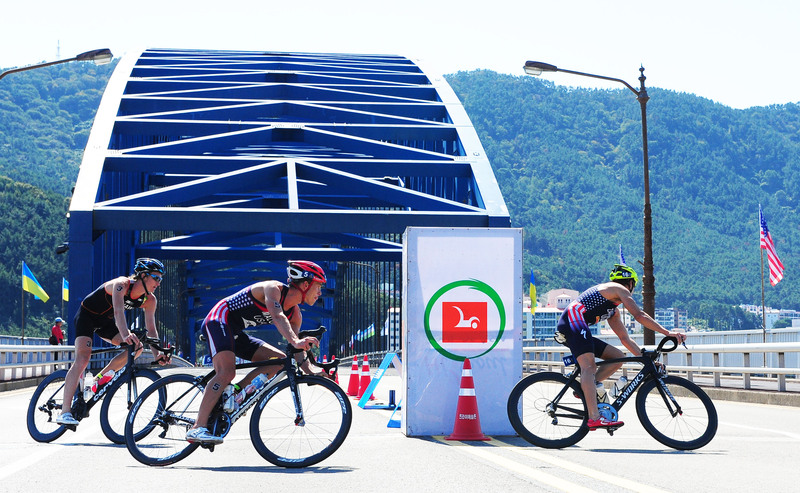 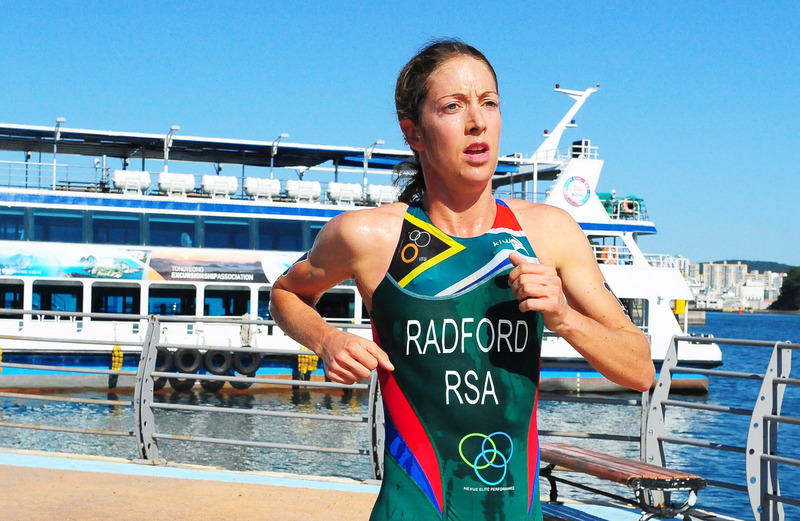 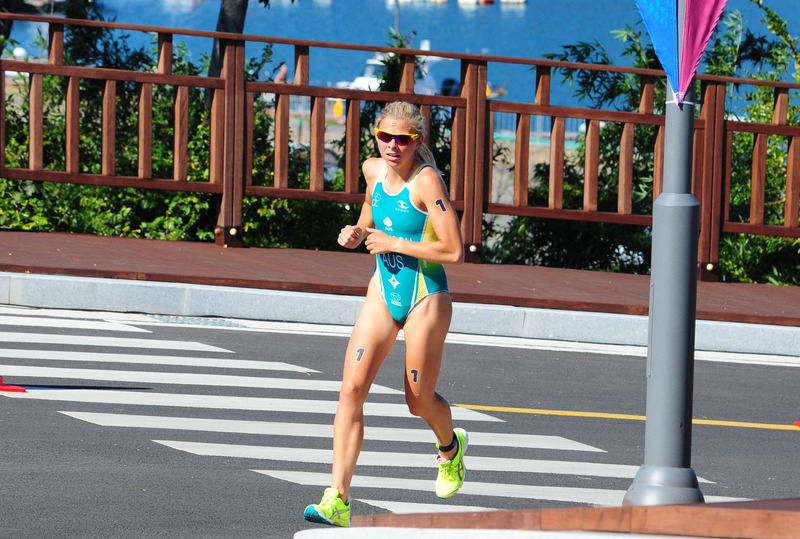 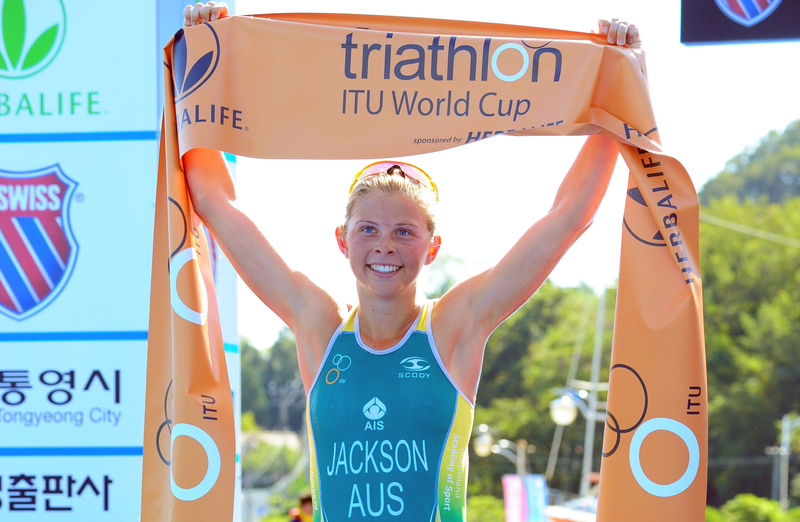 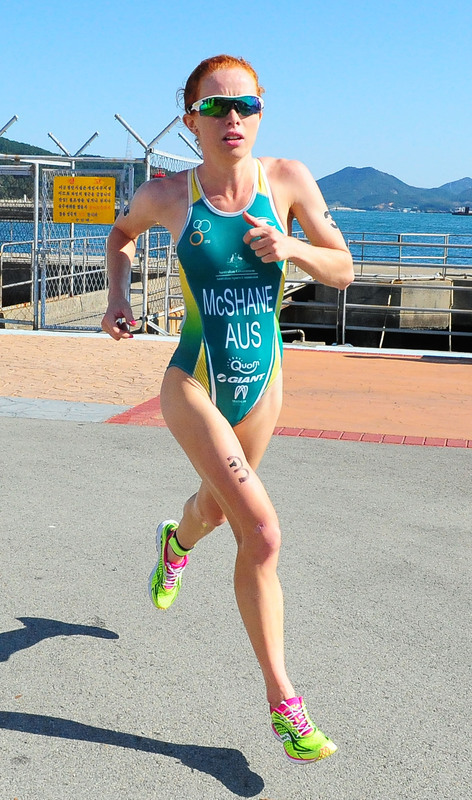 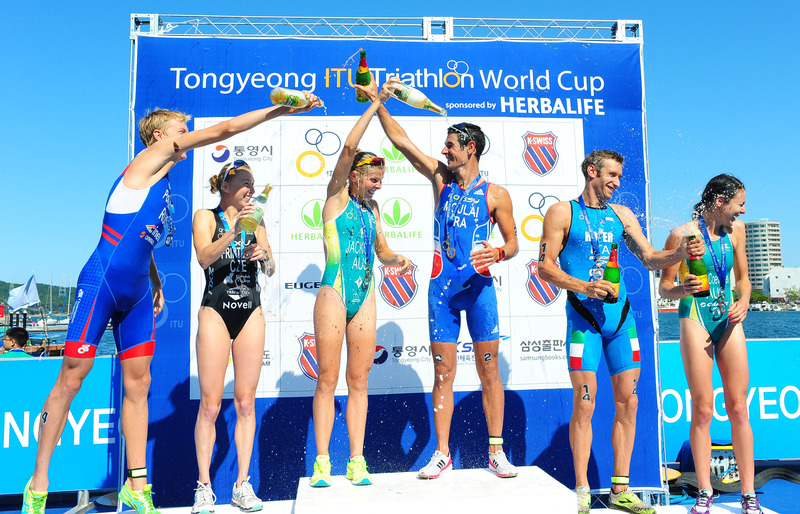 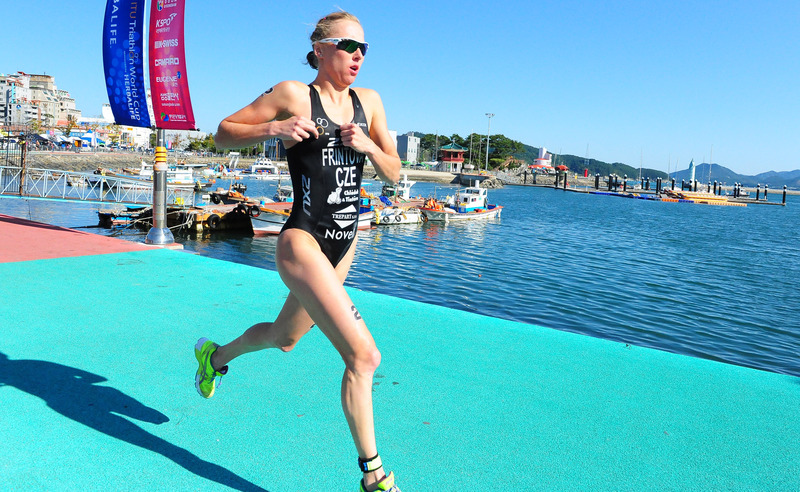 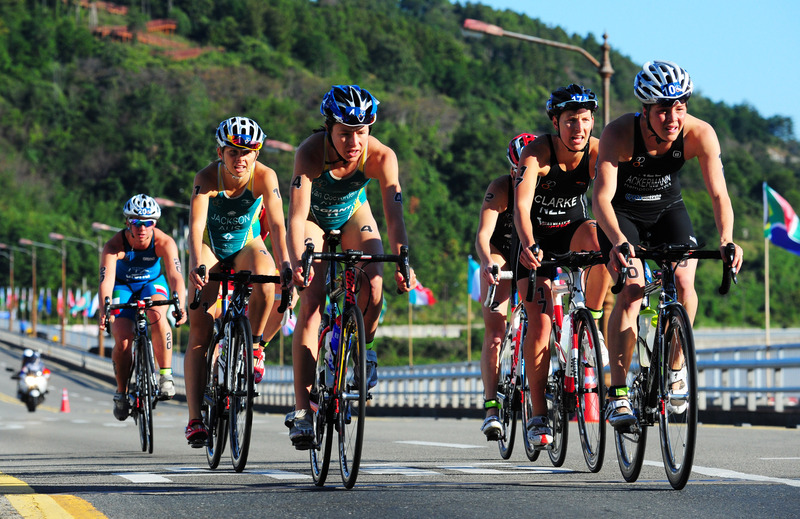 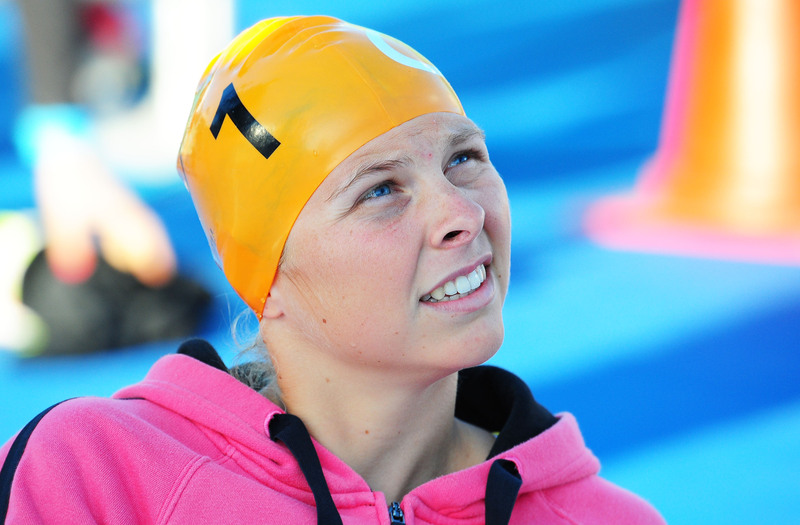 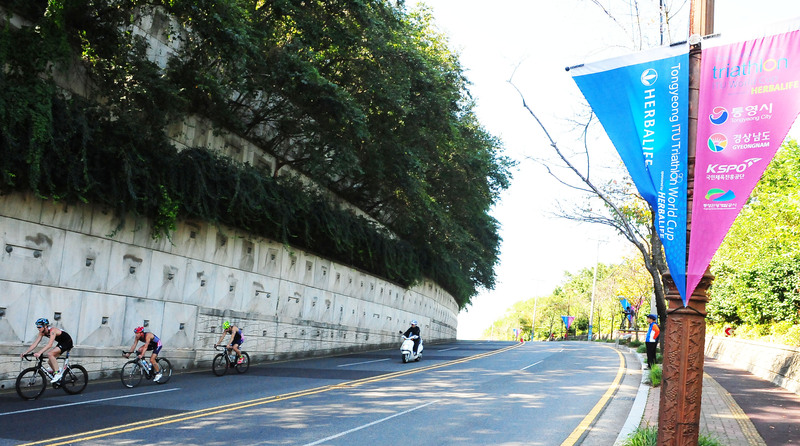 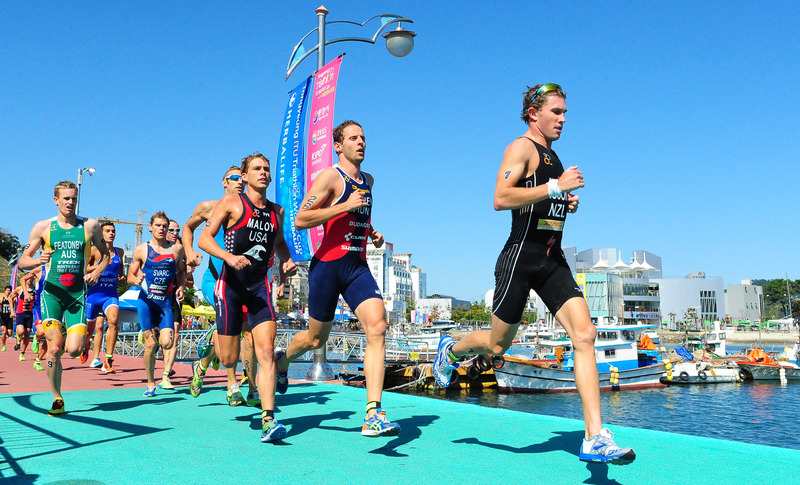 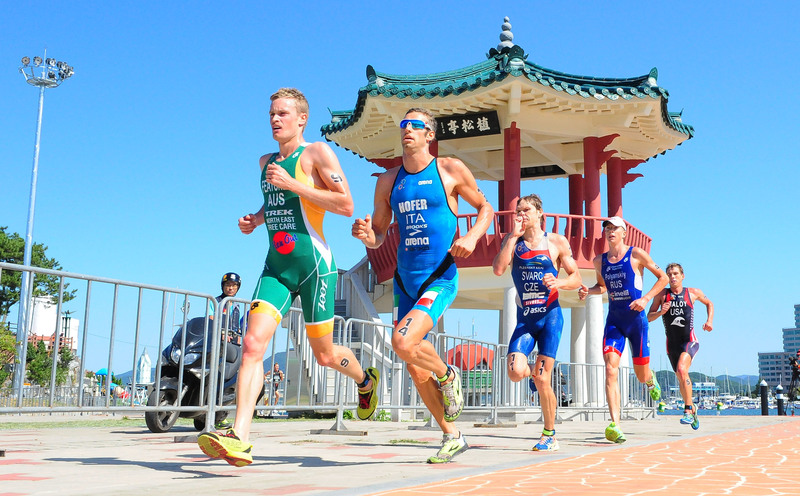 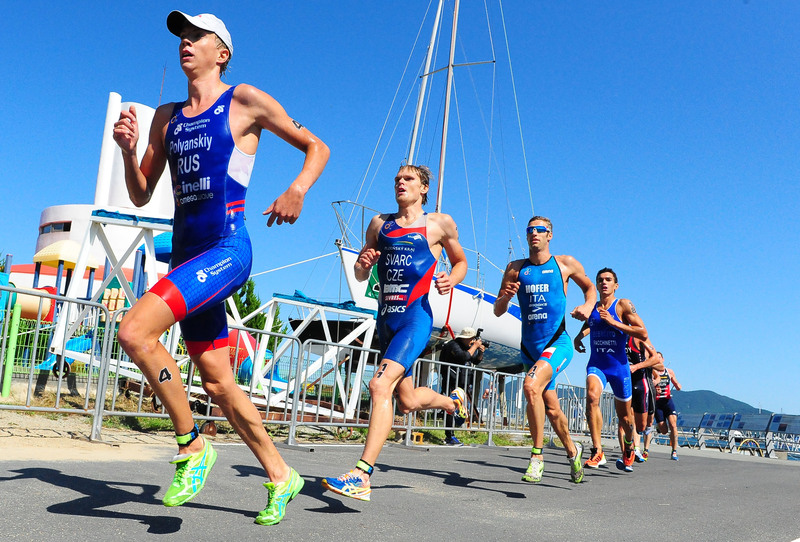 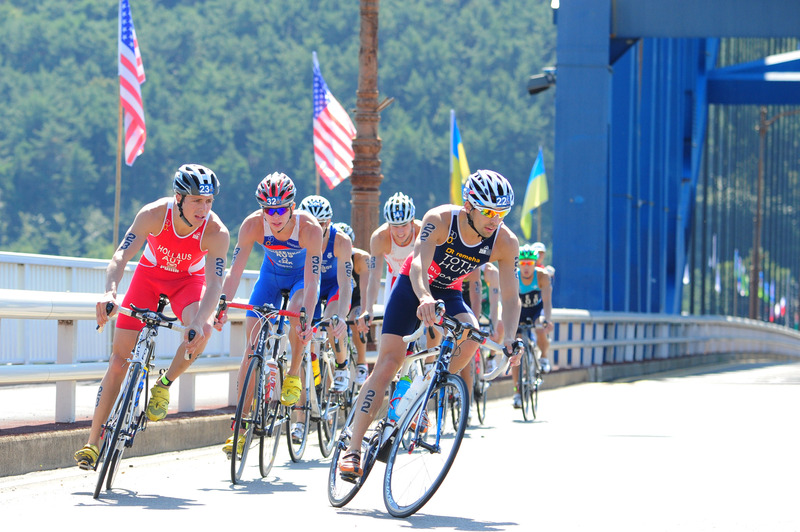 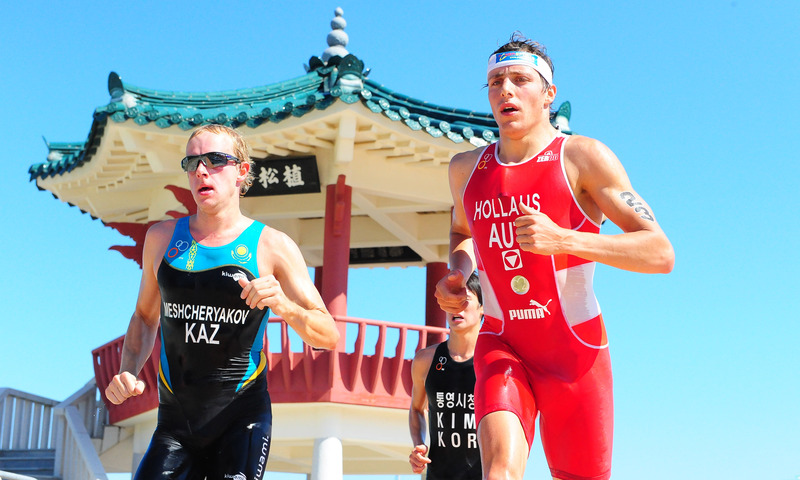 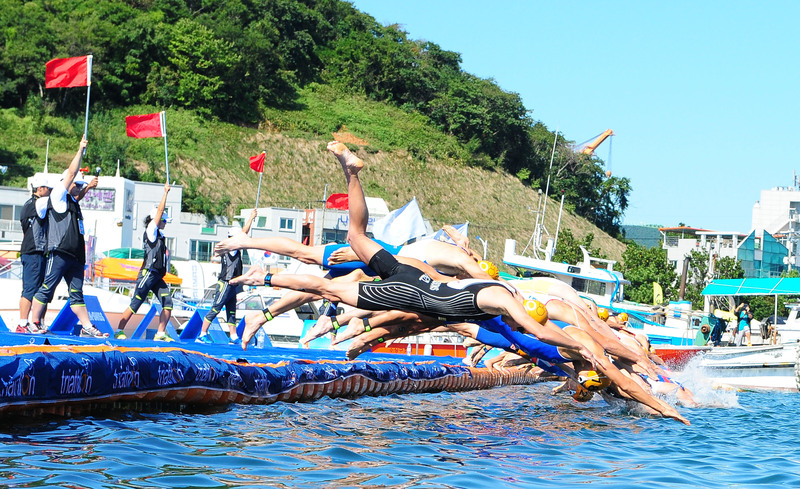 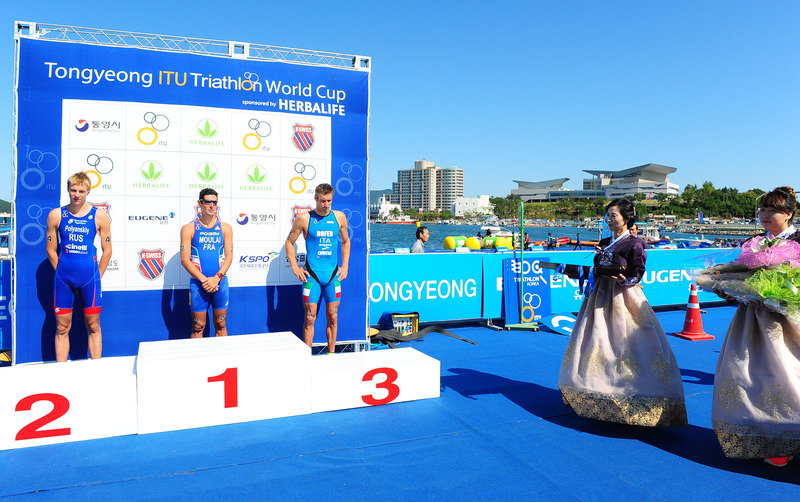 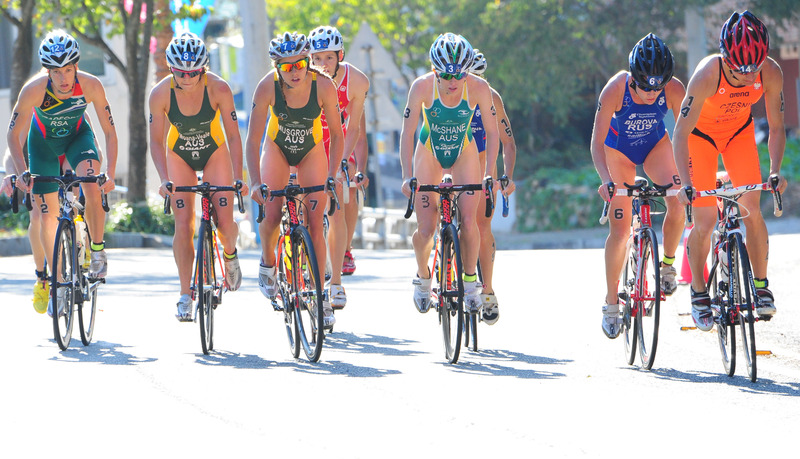 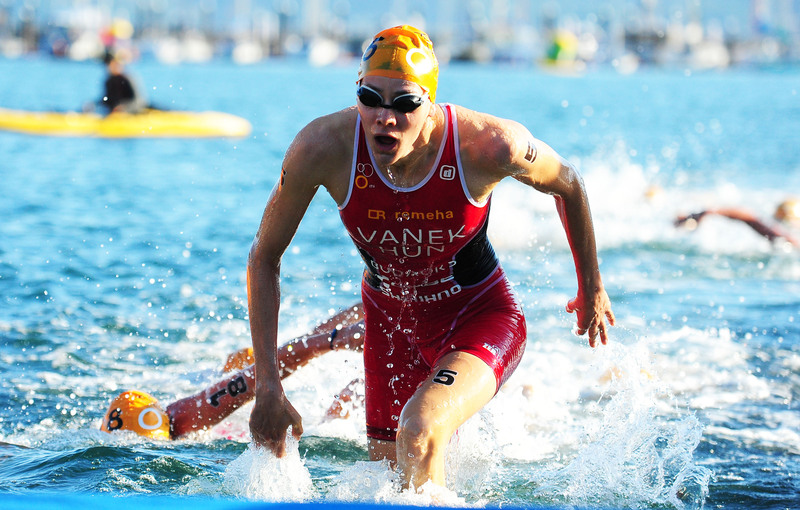 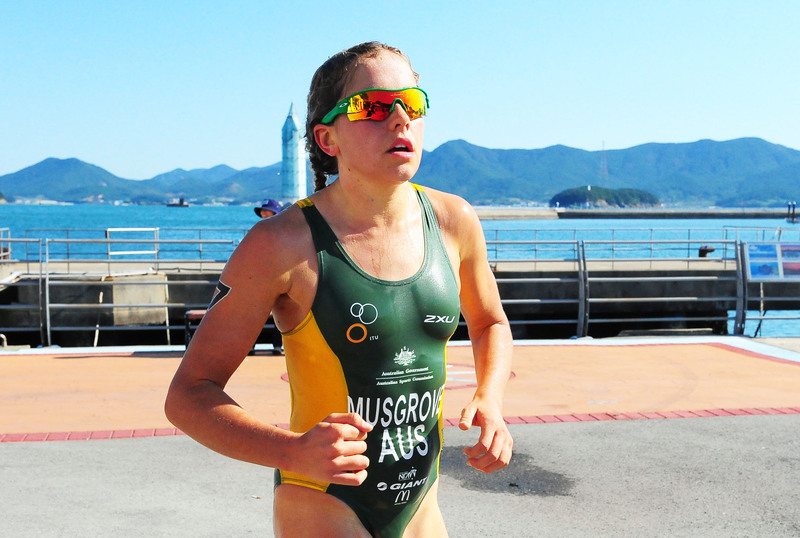 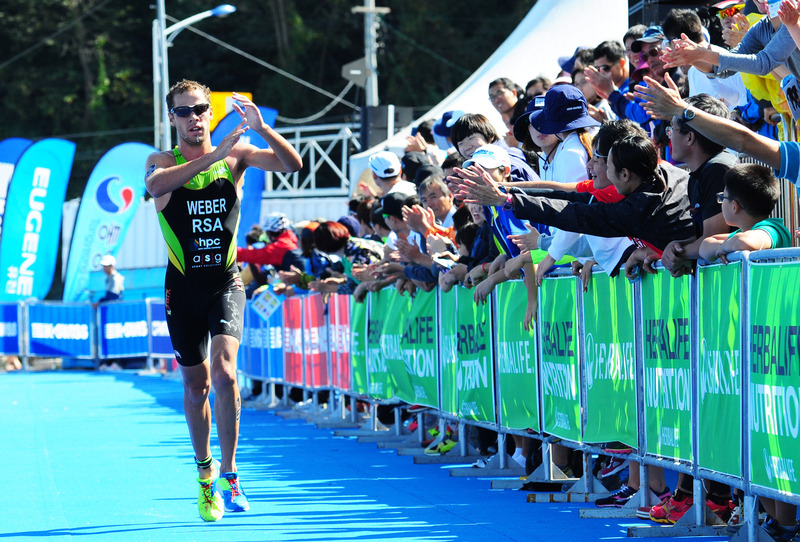 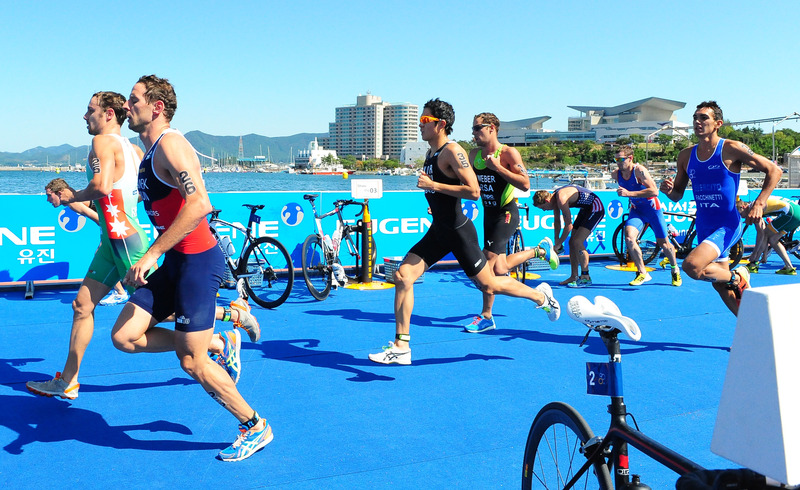 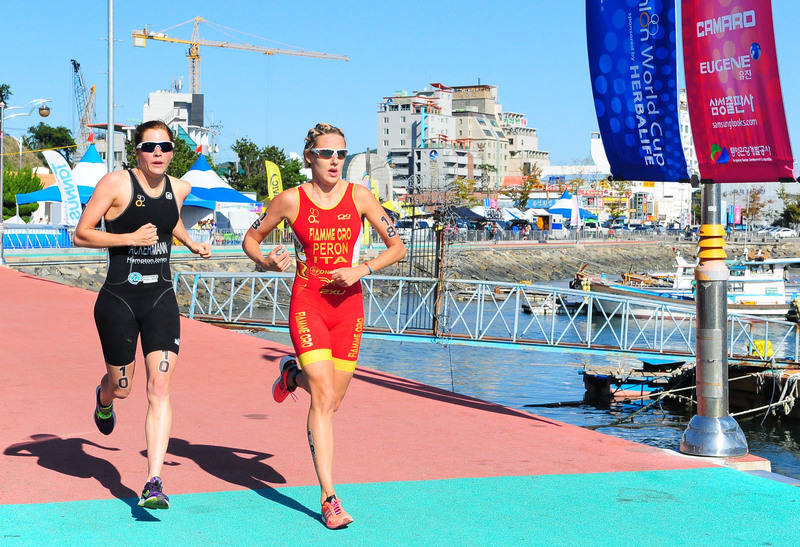 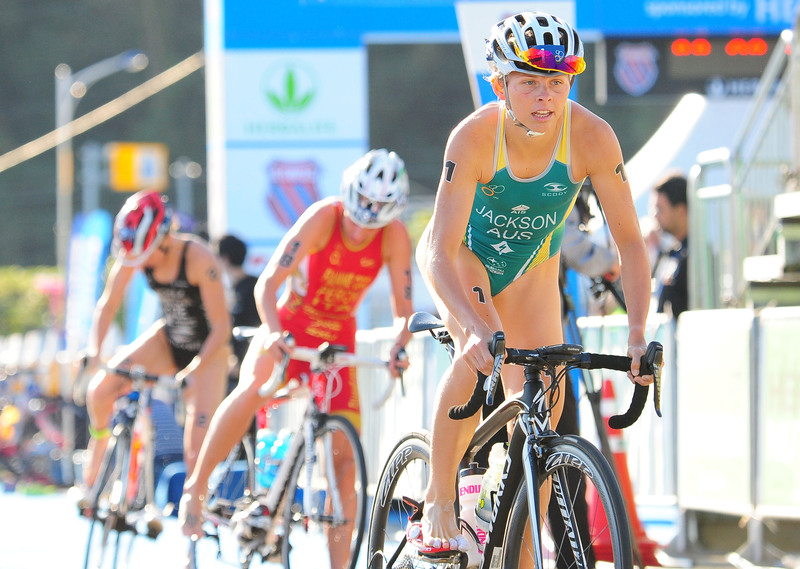 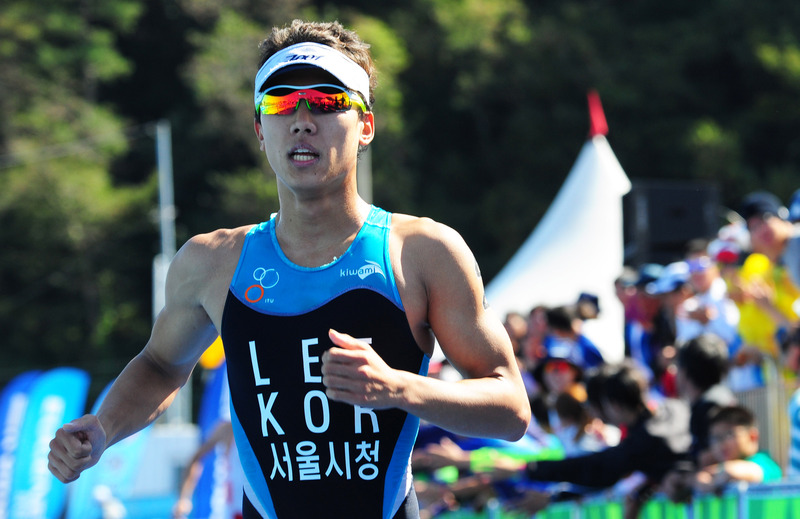 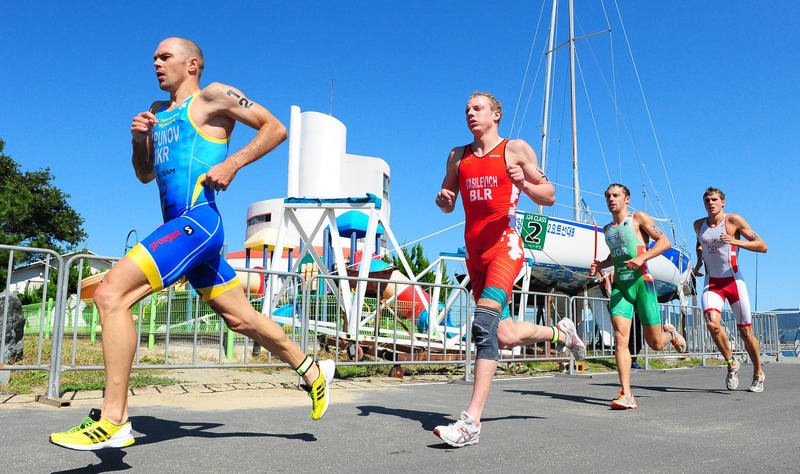 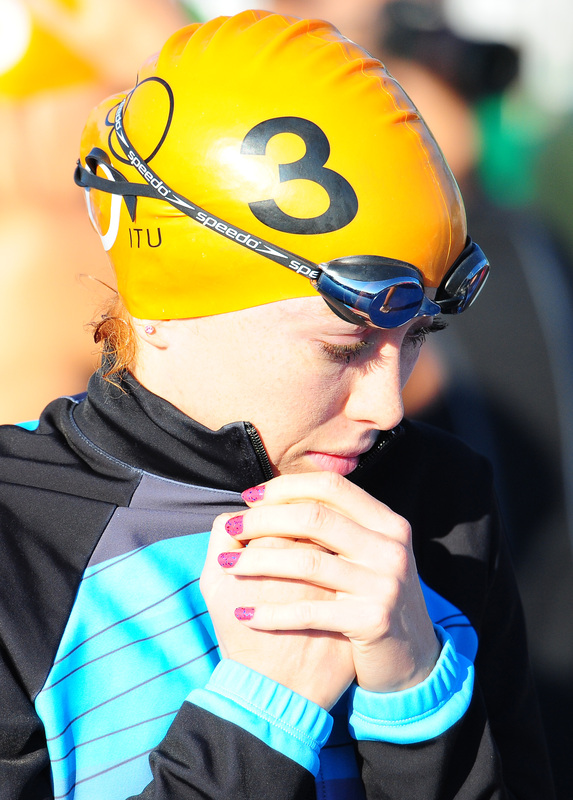 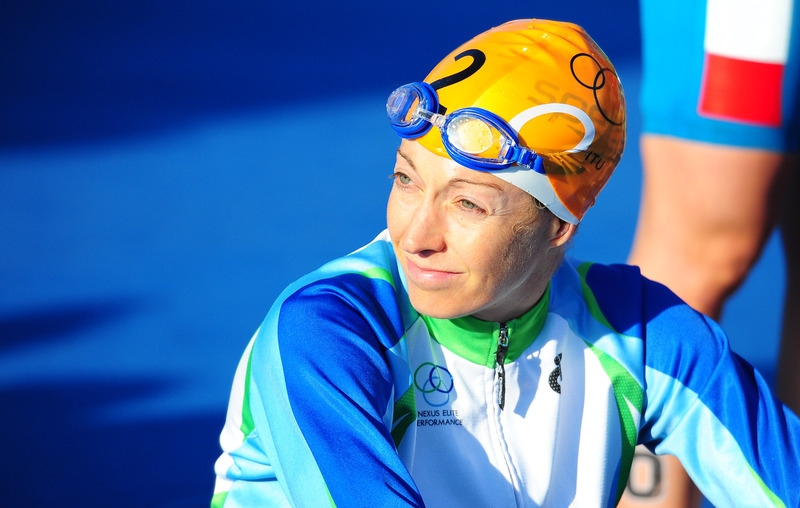 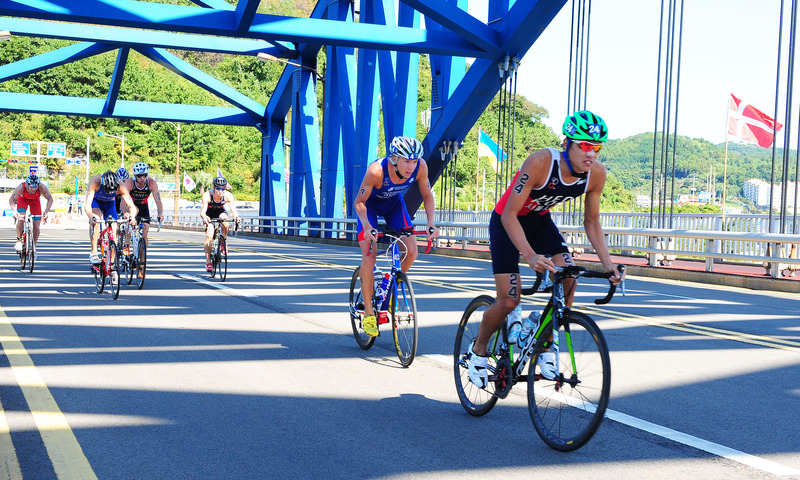 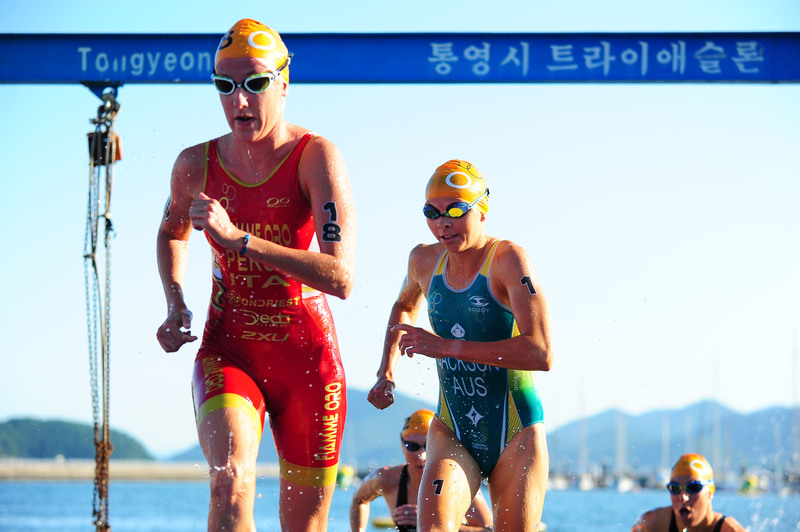 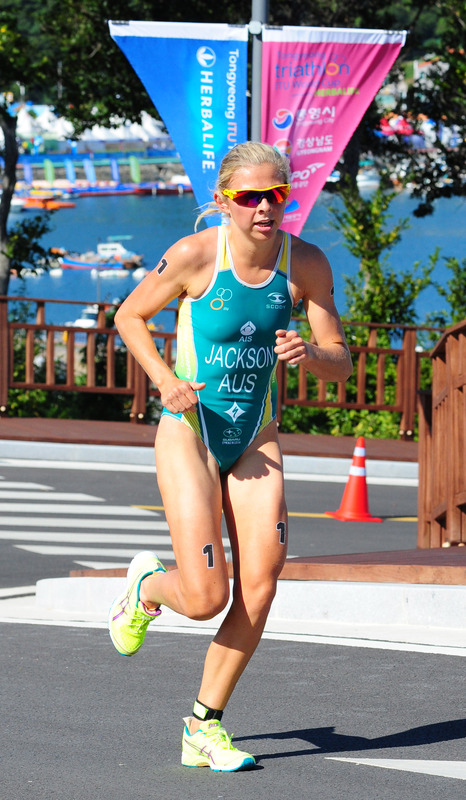 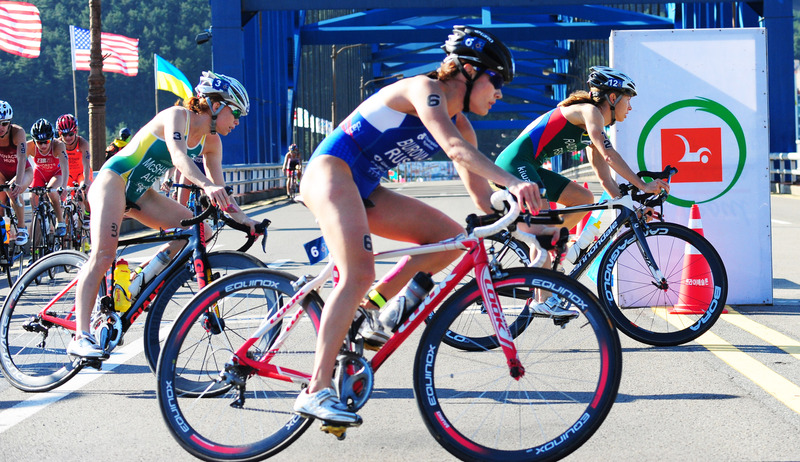 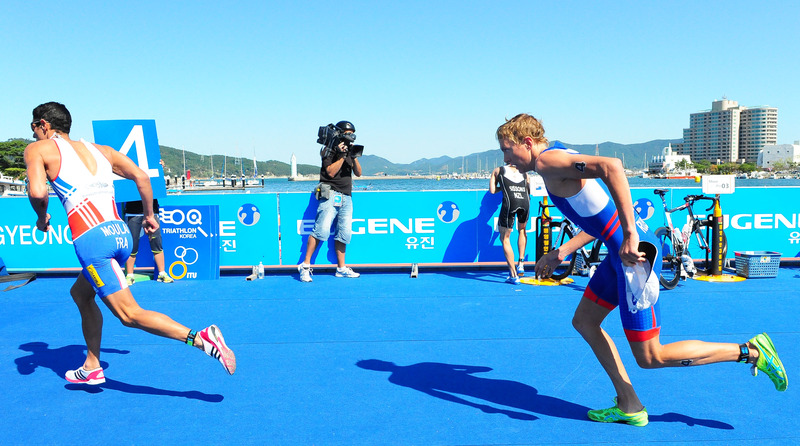 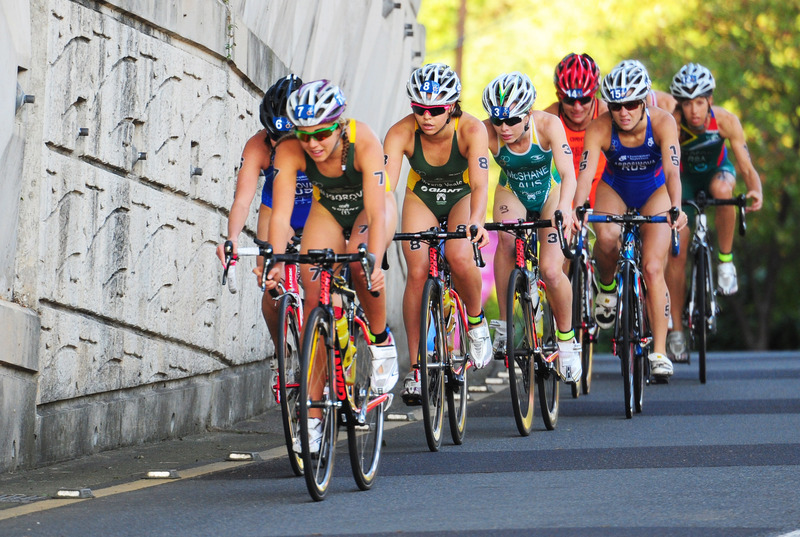 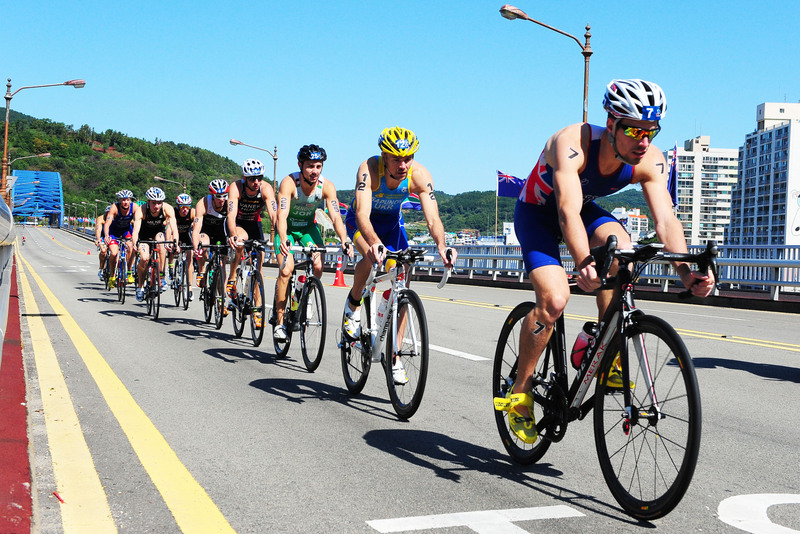 The penultimate round of the 2013 World Cup circuit touches down in South Korea this weekend with Tongyeong welcoming a World Cup event for the seventh time.